Zahn’s Corner Industrial Park is an industrial park located southeast of Waverly, Ohio. 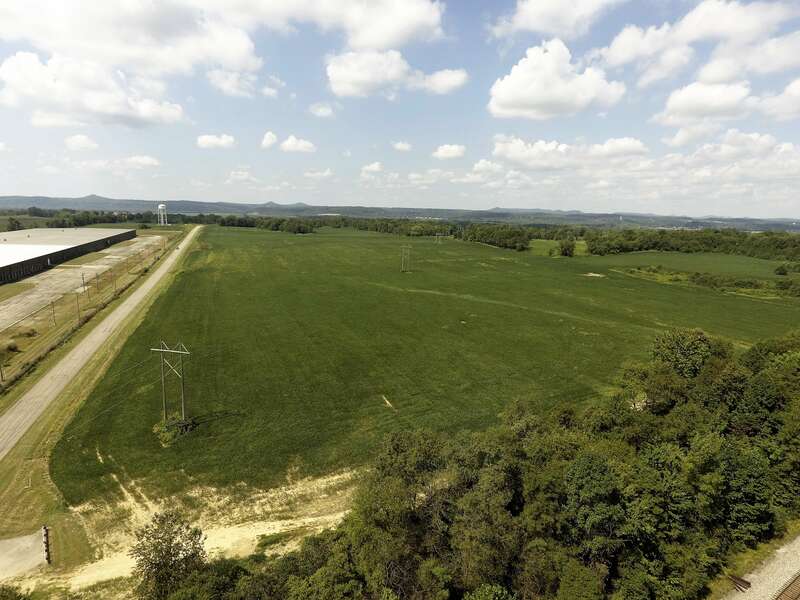 A 128-acre portion of this 221-acre site is a certified AEP’s Quality Site by McCallum Sweeney Consultants. The park is located within 5 miles of two uncongested four-lane highways, US 23 and SR 32, offering convenient north-south and east-west travel. 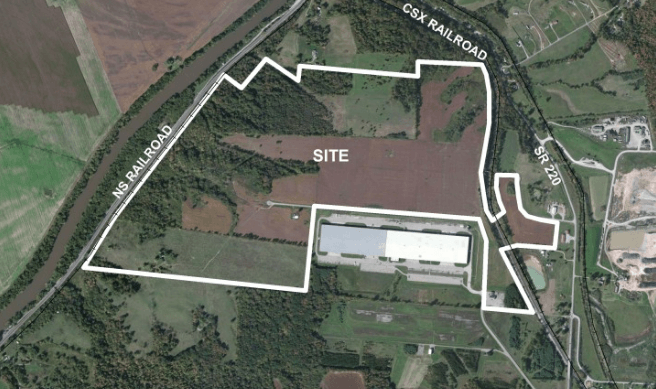 CSX Transportation has developed a plan for rail siding into the park from its adjacent mainline. All utilities are on site, and an AEP 138 vK line crosses through the park. The site is in an attainment zone. The Zahn’s Corner Industrial Park is a pre-designated Foreign Trade Zone site within the service area of Rickenbacker’s FTZ #138, which has been approved for Alternative Site Framework (ASF). ASF allows a FTZ designation to be obtained in less than 30 days. Water: Yes, Pike Water, Inc.
128 acres shown in Master Development Plan is primarily flat. Portions of the property to the west and northeast, beyond the Master Development Plan focus area, have slopes and ravines. This topographical map with two-foot contours also shows wetlands in relation to the site’s topography. The property has not been mined or drilled in the past, and there are no mines within two miles of the property. The property has no evidence of sink holes, natural springs, caves, and the area is not prone to these occurrances. Zahn’s Corner Industrial Park is located in Zone X (outside of the 100-year floodplain), as indicated in FEMA panel 39131C0228C. A wetland delineation report by ASC Group, Inc. dated February 8, 2016, states that a total of four wetlands were delineated during the field investigation of the 127.93-acre study area at Zahn’s Corner. A total of 0.251 acres of wetland are present within the study area, and two of the wetlands are associated with the streams identified within the project study area. The wetlands are located at the perimeter of the developable acres identified in the Master Development Plan, as shown in the aerial map at the right. This topographical map with two-foot contours also shows wetlands in relation to the site’s topography. Industrial Park Drive provides dedicated access to the Zahn’s Corner Industrial Park and terminates at a cul de sac, prohibiting through traffic. This drive is a 24-foot two-lane paved road, constructed in compliance with the Pike County, Ohio Engineer’s Office requirements with a painted center line and berms with designated left turn lane onto (Ohio) State Route 220. Industrial Park Drive is approximately 1.5 miles from four-lane highway State Route 32, which runs east-west and connects to four-lane highway US-23, which runs north-south, just 3.5 miles from the SR-220/SR-32 intersection. 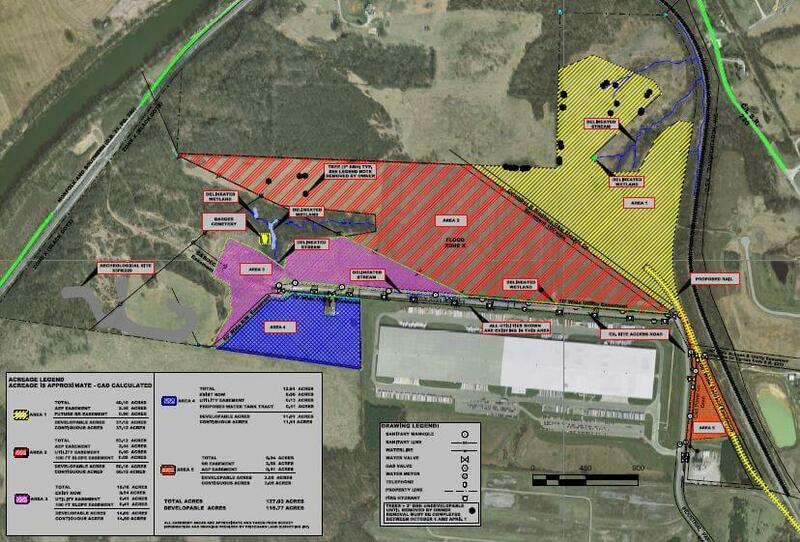 CSX rail runs along the east portion of the site, and CSX Transportation has developed a plan for rail siding into the park from the adjacent mainline. A Norfolk Southern mainline runs along the western portion of the site, but topographical challenges limit development of a rail spur onto the site, as the rail is located at a lower elevation than the industrial park. A transload facility at the base of the hill near the tracks with a conveyor system to the industrial park may be a possibility. The Zahn’s Corner Industrial Park is located 59 miles from the Rickenbacker multi-modal transportation facilities. The Zahn’s Corner Industrial Park is located 59 miles from the Rickenbacker International Airport, which has cargo-dedicated flights to global destinations including Hong Kong, Brussels, Luxembourg, and Dubai. In addition, the John Glenn International Airport is located 75 miles from the industrial park. Pike County Regional Airport is located ten miles from the site. The McGoveny River Terminal is the closest port, located at 55 River Avenue, Portsmouth, Ohio 45662, 29 miles from the site. The channel depth at the port is 11 feet with a turning basin of 600 feet. The port contains barging facilities, general cargo facilities, and storage facilities. Norfolk Southern rail serves the port. Pike Natural Gas has an existing 6″ steel main gas line that runs through the Zahn’s Corner Industrial Park. This line currently has 275 PSI and can be increased to a maximum operating pressure of 375 PSI. At this pressure, the hourly maximum flow rate is 450 mcf/hr. AEP Ohio owns, operates, and maintains the existing distribution facilities that provide electric service to the Zahn’s Corner Industrial Park. The park is currently served by an existing, single 12kV circuit. This circuit originates from the AEP Ohio Waverly station, which is 3.6 miles from the park. 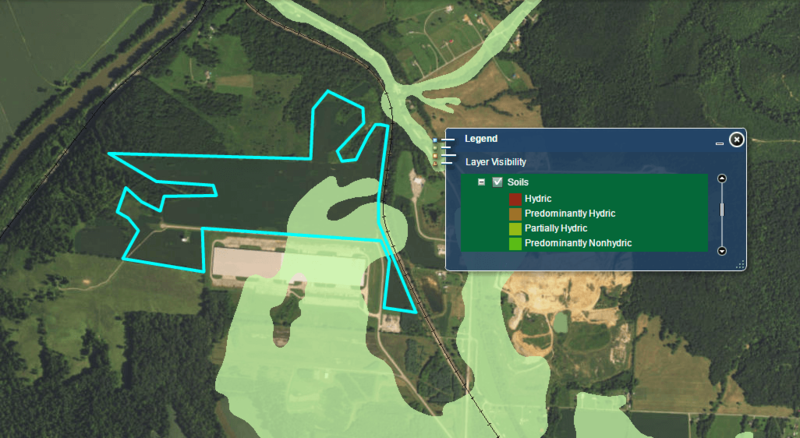 Additionally, AEP Ohio’s 138 kV transmission line traverses the site and is another potential source for electric power for manufacturing companies. Pike Water, Inc. provides water to the Zahn’s Corner Industrial Park. An 8-inch water line runs along Industrial Park Drive, which extends along the southern border of most of the site. Pike Water can currently provide 450,000 gpd of potable water. Additional water can be supplied with minimum changes to the system if needed. 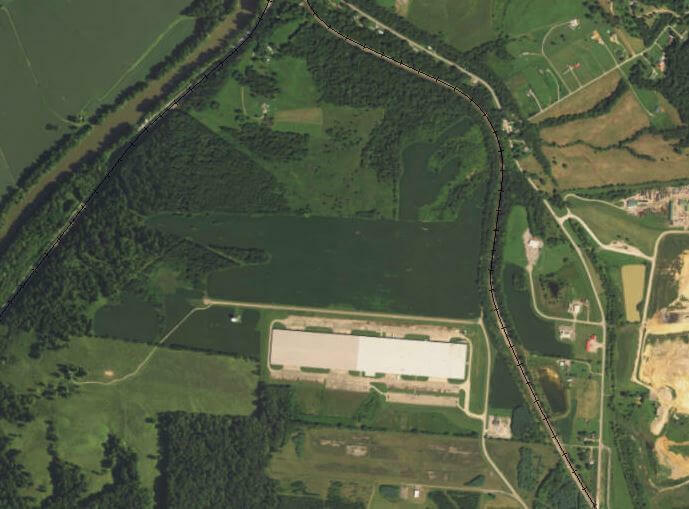 The Pike County Sewer District is the wastewater service provider to the Zahn’s Corner Industrial Park. The wastewater from the site discharges to the Village of Piketon’s wastewater treatment plant, which has an excess capacity of 250,000 gpd. Upgrades are underway to increase capacity with an additional 500,000 gpd by Q1, 2018. An 8-inch sewer line runs to the site boundaries then reduces to a six-inch pressurized line. The sewer line runs along Industrial Park Drive, which extends along the southern border of most of the site.